I took the day off from work today because it was my 20th anniversary. Besides enjoying the luxury of sleeping until 5:30 AM and not driving 35 miles and back today, I got in a nice morning run. The weather is currently monsoon-like, but just before 8:00 AM it was cool and overcast with nary a drop of humidity. I like to start my weekday runs at 8:00 because that gives me about 40 minutes between the caravan of high school and middle school buses and the secondary wave of elementary school buses and kid drop-offs. The buses don't bother me that much because I can hear or see them coming at a safe distance. I always hop onto the sidewalk in those cases. Parents dropping off their kids are a different story. They're typically aggressive speeders who don't even pretend to slow down for stop signs. I stay hyper aware at all times. This morning I saw a car that was going at least 10 MPH faster than the speed limit almost collide with a car coming around a blind corner from the opposite direction. Besides that, I ran past a house as a car started backing out of the driveway without looking. I anticipated that and she heard my yell loudly and clearly. The rest of the day was spent doing various anniversary-like things, including having lunch at our favorite Thai restaurant and going to Home Dept twice. 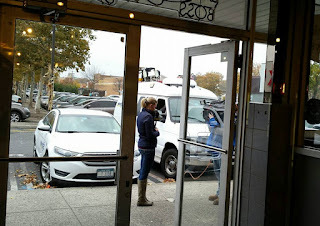 We also walked into a location shoot that the local news station was broadcasting from a neighborhood shopping center. 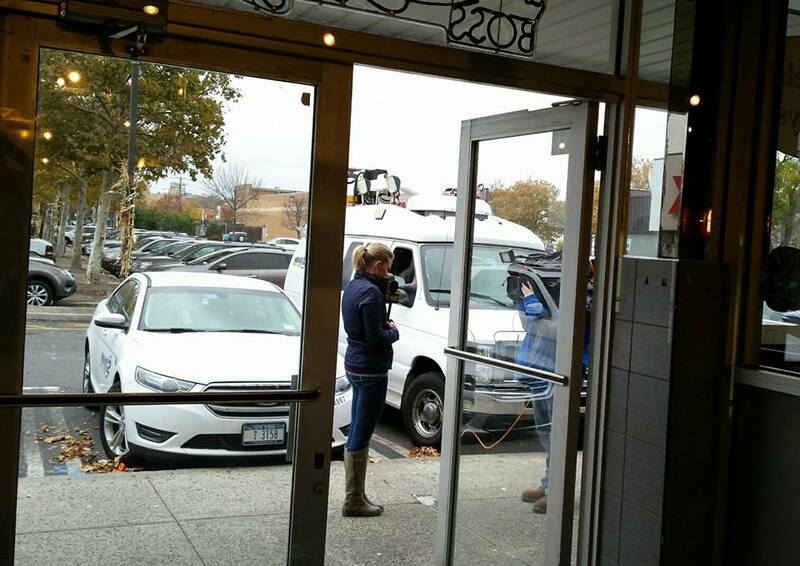 I have no idea what they were talking about, but it appeared to be bagel-related. Tomorrow it's back to work, which doesn't seem fair as today felt so much like a Friday. Still, I did get in my run and I'm looking to do the same on Friday morning. We have family staying part of the weekend so I have to remember to grab my Saturday running gear out of the guest room before they arrive. I'm trying to remember if I ever went to the Home Depot twice on an anniversary. Can't say that I did. I feel gypped. It wasn't as glamorous as it sounded. The second visit involved a return.